For those of you looking to kick your New Year’s resolutions into full gear, the annual Key West Half-Marathon is just around the corner. 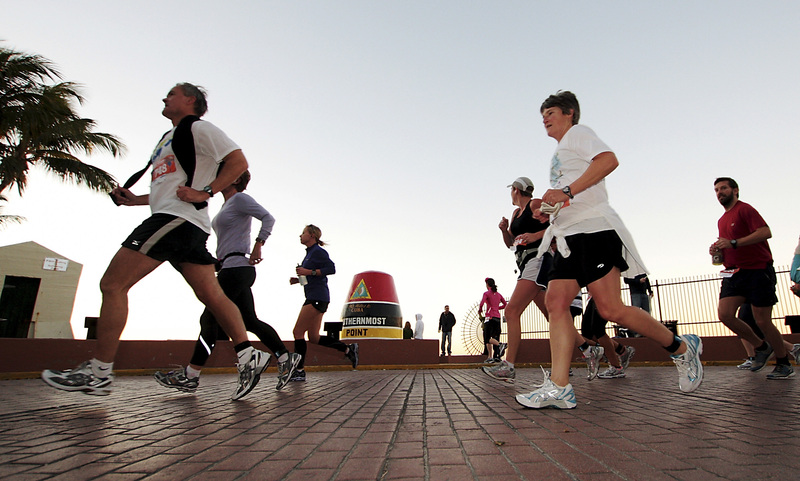 Continually ranked as one of the best destination half-marathons in the United States, the Key West Half-Marathon is always a good time - and if you’re a regular runner, it’s a breeze. With a course set on a flat surface and temperatures in the mid-70s, there are few running conditions more ideal than those of the Key West Half-Marathon. It’s also an especially good race if you’re doing your first half-marathon, because of the lack of elevation. And then there’s the ocean breeze and the gorgeous views of the Atlantic, and Old Town Key West, as well. The race starts in the historic district and then wraps around the island, giving runners stunning views in some of the most critical points in the race. Then there are the post-marathon festivities, which arguably are always better in Key West. As is tradition, the awards ceremony will be held at the Half Shell Raw Bar, with complimentary food and beverages for runners. There will also be live music from Key West’s self-proclaimed #1 band, Howard Livingston & the Mile Marker 24. Think island tunes like “Six Pack and a Tan” and “Blame It on the Margaritas,” perfect for the delightful combination of endorphins and post-race Coronas. If you’re still not ready to go the 13.1 miles, there is a 5K fun run/walk that only goes through Old Town. Consider it a self-guided tour without getting lost. Starting down Duval and headed back up Whitehead, you’ll still see all the best sight of Old Town, from the Key West Lighthouse to Mallory Square. The race does have a capacity, so make sure to sign up as soon as possible. And get yourself a good hotel – one where you can relax after a long race. The race starts at 7 a.m. at the historic seaport on Margaret Street. See you there!